This is a cozy mystery that I think everyone will enjoy. When Adrianna is framed for stealing money from the company she works for--her family is sure she is innocent--but where is she? Her cat was left at home--Adrianna's Dad was supposed to come and take care of him--he forgot. Well the cat started yowling loud enough that a neighbor called Beth to lodge a complaint--not only Adrianna's aunt but also her landlady. The whole family was worried --Beth started to try and track her down--they had to find her to exonerate her! She was found and brought back to the US. Then one of her friends was murdered---Adrianna was a suspect. Meanwhile Psycho, the cat, was staying with Beth and her husband. He was a handful but really very loving at the same time--reminds me of my cat! This book had lots of interesting characters and the plot thickens as you read along. I read it in one sitting--I just had to know what eventually happened! I will definitely be reading more of this series!! When Psycho Cat yowls, Beth responds. Adrianna, her niece has disappeared. She and her no-nonsense sister question Adrianna's associates. They discover that the police suspect the young woman of embezzling a huge sum of money from the Kansas City construction company where she works. Believing Adrianna has been framed, Beth finds clues which lead her to the U.S. Virgin Islands. After a series of bizarre detours, she finds her niece at a spectacular island hideaway. Back home, Adrianna is accused of murder. 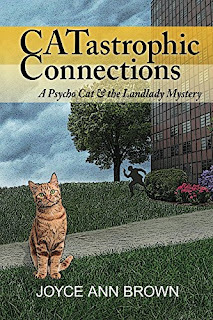 The award-winning story is the first in the Psycho Cat and the Landlady Mystery series. Furtive Investigation is the second, and Nine Lifelines is the third. Joyce Ann Brown is an explorer. In life, she explores the world. Her career as a librarian let her explore all types of media with her students. On hikes and trips, she always needs to find out what is around the next bend. In her stories, especially her mysteries, she explores human nature, the light and the dark. Her travels provide many of her settings. 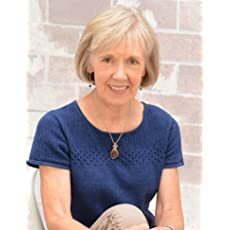 In "CATastrophic Connections," the sleuth follows clues which lead her to St. John and St. Thomas, U.S. Virgin Islands where she encounters frustrations and dangers in that tropical paradise. 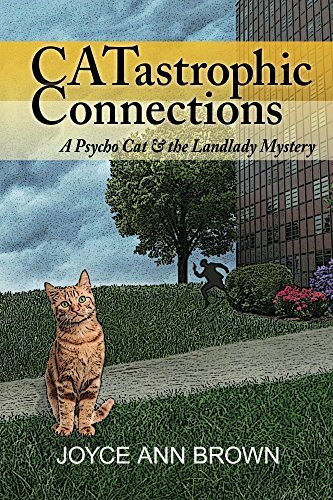 "Furtive Investigation" takes the reader back and forth in time and from Kansas City, MO to Frog Springs, Arkansas after Psycho Cat finds a skeleton in the attic of a duplex. The protagonist explores Kansas City, especially the Brookside neighborhood, in "Nine LiFelines," the third book in the Psycho Cat series. The Trolley Track Trail, the author's favorite walking trail in Kansas City, is the setting for the action in this book. In "Tailed," to save her brother-in-law from going to prison for murder, our intrepid sleuth and her clairvoyant cat must connect a bungling duo of petty crooks to the RV and truck break-ins and murder that happened during their RV vacation to Texas.